The Alberta government will work with former U.S. president Jimmy Carter on a Habitat for Humanity project that is seen as a "solution to the affordable housing crisis." The Alberta government and the City of Edmonton are teaming up with former U.S. president Jimmy Carter on a Habitat for Humanity project that will provide 59 homes for families in southeast Edmonton. The Edmonton homes, along with another 16 to be built in Fort Saskatchewan, are part of the 34th annual Carter Work Project that will see a total of 150 Habitat homes built in 40 communities in recognition of Canada's 150th anniversary. The Alberta government will contribute $1.4 million to the project, Premier Rachel Notley announced Monday. The City of Edmonton is donating the land for the homes to be built on, valued at about $4 million. "Affordable and safe housing is integral to our city," Mayor Don Iveson said in a release. "It is essential to the well-being of individuals and our communities." The new Edmonton homes will be built in the Laurel neighbourhood. The development will be called Carter Place. Construction began earlier this year and the homes are to be completed in 2018. In Fort Saskatchewan, the homes will be built in the Sienna neighbourhood. The City of Fort Saskatchewan helped Habitat for Humanity purchase the lots with $692,000 from its provincial affordable housing grant. Fort Saskatchewan is also forgiving $40,000 in building and development permits and covering $20,000 in utility costs during the build, it said in a news release. The annual Carter Work Project is designed to help raise awareness of the need for affordable housing. 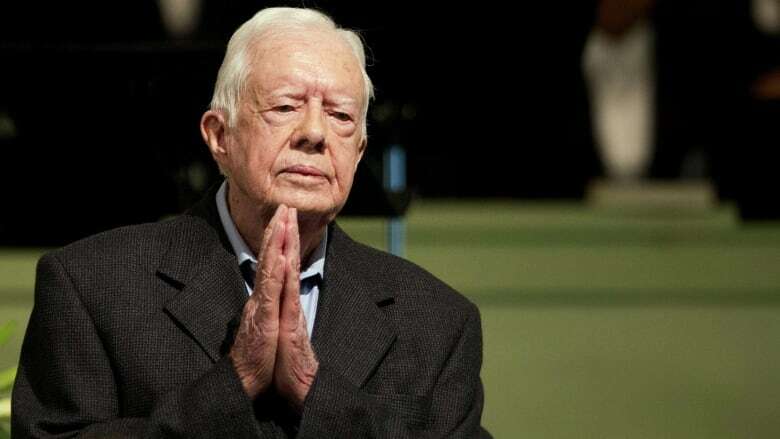 Habitat for Humanity said Jimmy and Rosalynn Carter will visit Edmonton and Winnipeg next summer as part of the project. Alfred Nikolai, the president of Edmonton's chapter of Habitat for Humanity, said he is excited for the the former U.S. president's visit. "The biggest thing you can get in the Habitat family is Mr. and Mrs.Carter to come, so it's almost like winning the Olympic bid," Nikolai said. "We're absolutely 100-per-cent sure there will be a legacy." Families that will receive homes will spend 500 hours volunteering on Habitat for Humanity build sites as their down payment. The family will pay an interest-free mortgage with payments that don't exceed 25 per cent of household income. Nikolai said the 75 families that pay these mortgage rates will pay into a fund which will be put towards helping more families in a similar fashion. This way, Nikolai said, the legacy will continue for years to come. "There'll always be an income stream for affordable housing," he said. "[This could be] a solution to the affordable housing crisis."